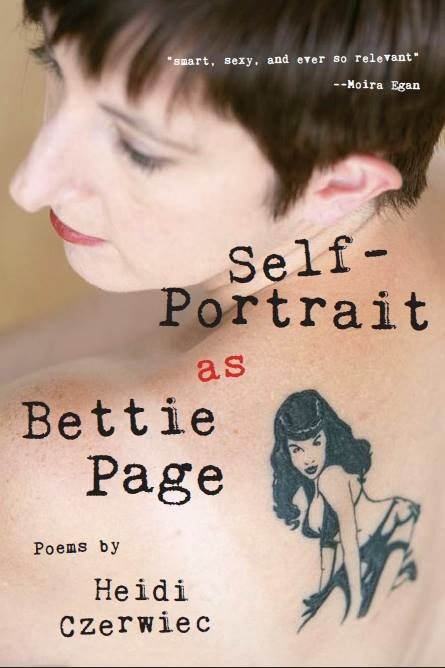 "It’s the cover of Self-Portrait as Bettie Page, which I think is a cool tie-in between poetry and tattoos ... The tattoo of Bettie Page came about as a way to solve a copyright issue. The editor publishing Self-Portrait as Bettie Page, Anna Evans, felt we needed an image of Page for the cover, but the cost was prohibitive. I often get a tattoo to commemorate each poetry project I finish, and had been considering a Bettie Page tattoo already, so I suggested it as a solution since new medium equals new (uncopyrighted) image, and also because it would be a vivid way to convey the title. 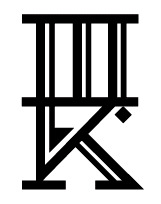 And because I wanted the tattoo and it seemed pretty badass. I went with a graphic b&w image of a famous photo, found a terrific artist – Paul Johnson, owner of 46 and 2 Tattoo in Fargo, ND – who was interested in the project, and got my amazing photographer friend – Britta Trygstad – to shoot the tattoo during and after. This is the image we chose. I’m not sure I came out much ahead of the cost to acquire copyright, but the process was so much fun and I have a badass tattoo at the end of it." Heidi selected two poems to accompany her submission, both from the book. Since they're both fairly short, I've included both below. Heidi adds, "both were ... published in Self-Portrait as Bettie Page (Barefoot Muse Press, 2013), but “Autobioerotic” first appeared in South Dakota Review (Winter 2011/2012)." for lindy-hopping – the whole enchilada. about her. But the more I learned, I liked. the more severe she looked, the more she winked. fit pretty content in a strict box. of sapphics – titillating, but still, quite tame. You got a kick out of it. It was a game. for magazines with certain clienteles. You’re verse’s vixen. Where do you go from here? You keep composing; or, you disappear. Heidi Czerwiec is associate professor of Literature and Creative Writing at the University of North Dakota. She is the author of two chapbooks: Hiking the Maze (Finishing Line Press, 2009) and Self-Portrait as Bettie Page (Barefoot Muse Press, 2013). Find more information at www.heidiczerwiec.com. 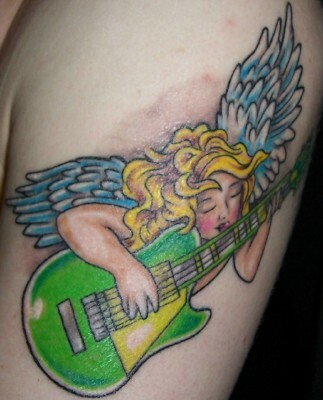 Thanks to Heidi for sharing her awesome tattoo with us here on Tattoosday's Tattooed Poets Project!